The history of this company originates from a small store in Southern California, in which at that time only 2 people worked. Bob Lichtman became the first who started to produce car's covers with an individual pattern on them. The young company began its activity carefully and developed quite swiftly. “Сovercraft” became a first in the market of custom-made car tires, as well as in the market of imported sports cars and suppliers of spare parts for cars. Since 1965, the company helps car owners to take care of their vehicles, protect them from weather adversities (such as snow, rain, hail, overheating in the sun and other vagaries of nature). Now the firm has divisions in different states of the USA, Australia, and Mexico, and the main office of the company is in Oklahoma. There are additional design centers located in California, Arizona, and Ohio. The number of employees of the company reaches the mark of 500 professionals who work day and night so that car owners can be calm for their cars and not be afraid of the negative impact of the environment. 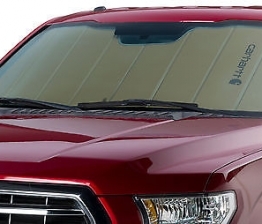 Since 1965, “Covercraft” has been producing high-quality products for outdoor and indoor vehicle protection. And has a high reputation for quality, proven durability, and unique design. 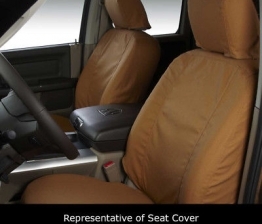 “Covercraft Industries”, Inc. produces car covers, as well as other accessories and parts, and is the world's first manufacturer of customized car covers. The catalogs of the company are ready to provide the buyer with a choice of more than 80,000 titles, but they do not stop there and are constantly updated and increase the output growth. 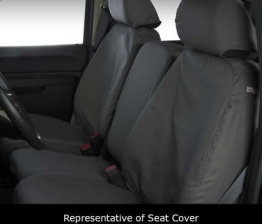 Over the years, the product line has expanded significantly, and now it includes the protection of seats, cab area covers, floor mats, luggage compartments for tires, tire covers, sun shades, weathershield, and other special protection and storage. The products of the company Сovercraft passed all the tests for quality and ISO-certified. They comply with all points of international standards and have been tested by an environmental program. All products from this brand are reliable, durable and widely in demand by many car owners. The mission of the company is to maintain the highest standards. In order to be and remain the leading company, the enterprise uses only the best materials and the best production technologies. Director of the company Marti Lichtmann started studying the Сovercraft business at the age of 11 and tried to pass training in each department, where he mastered the rules and positive aspects of teamwork. In the company often work as families. Many of the employees of the company have been working for nearly two decades with the company, some even longer. The director of the company attaches great importance to teamwork and family values; and pays attention to every employee. For the quality of products in the company, each employee can vouch, from a simple employee to a company director.